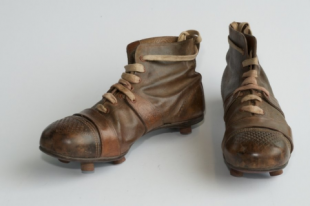 Len Oliver’s series looking at Philadelphia soccer in the 1940s and 1950s continues with a look at how the high school and college game benefited from local clubs. Philadelphia liked its soccer, and the college game reflected the strength of Philadelphia youth soccer. All the local colleges fielded strong teams–Temple, University of Pennsylvania, La Salle, and Drexel leading the way. Many of the Lighthouse-Northeast H.S. 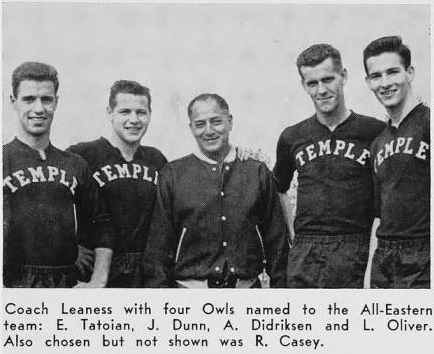 contingent received full scholarships to Temple, one of approximately 90 varsity programs around the country in the early ‘50s. The strongest teams, like Temple, the University of San Francisco, Queens College, and Penn State University were fed by the influence of urban youngsters, while in the Ivy League, New England’s prep schools provided the talent. No women’s varsity soccer programs existed. 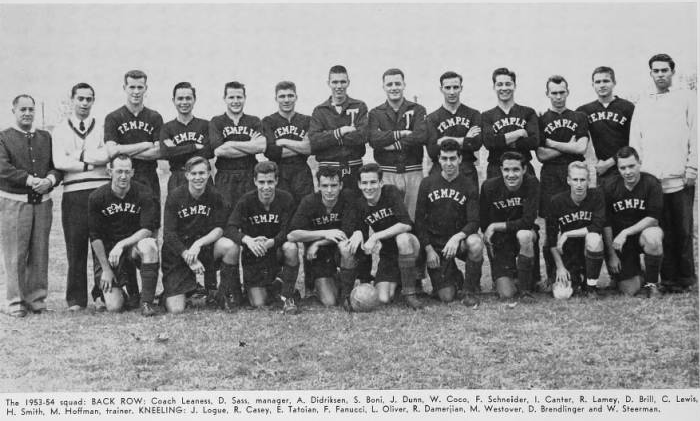 College soccer history was made in 1951 when our Temple Owls met USF in the Second Soccer Bowl in San Francisco’s Kezar Stadium before 10,000 fans–then the largest crowd to see a college soccer game in the U.S. The game attracted outstanding media coverage, accounting for the attendance. We flew cross-country on a 24-hour flight. Coach Pete Leaness asked me to captain the team from my center half position, an honor for a freshman. We defeated USF 2-0 with Ed Tatoian scoring both goals, and Temple was named National Champions. 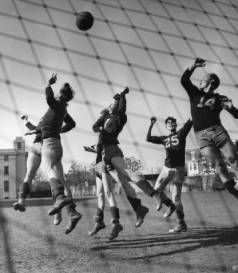 No more Soccer Bowls were held until 1959 when the NCAA began its formal playoff system. The college referees came basically from the amateur ranks, all former players, who tolerated no abuse, but who let the players play and work out their differences on the field–where they belong. In one memorable, hard-fought game between traditional rivals Temple and Penn State for the National Championship in 1953, play became so heated that one Temple player broke his leg and several others were carted off. The referees, Walder and Harry Rogers, both from Philadelphia, called time and brought both teams to mid-field. “You’re getting our first warning–all of you,” said Walder sternly. “Next time you’re gone.” Players settled down, just as intense, but fair and the teams belted it out in a 2-0 Temple victory without any more trouble. It was the only time in my career that all 22 players had received what amounted to a “yellow card” in today’s language. When we left Temple, we finally split up the “Lighthouse connection,” some of us going into the Armed Forces, some to the pros, some back to the amateur leagues, and some coaching. Almost all of us stayed in the game into our 30s, often competing with and occasionally against each other.